Making cheesecake in the pressure cooker is THE BEST method. The steady heat and steamy environment makes every bite creamy and silky-smooth. No cracks! For those of us who have been cooking for a long time, it can be a very good thing to sometimes step outside our comfort zones and be a complete beginner again. Humbling, to be sure, but good for our characters. This is how I’ve felt over the past few months with my Instant Pot. Everything about it was new, from figuring out how to put the lid on and which buttons to push to getting used to the fact that I couldn’t just lift the lid to check on my food whenever I wanted to. There was a lot of anxiety and a few oopsies, as well as a surprising number of successes, even in the early days. I owe all my newfound confidence with pressure cooking to our very own Coco Morante, who has been sharing her pressure cooker recipes with us on Simply Recipes for the past year. She held my hand, answered my panicked text messages, and coached me along every step of the way. I am absolutely thrilled that she’s now come out with her very own book, The Essential Instant Pot Cookbook. She and her publisher are also giving one lucky Simply Recipes reader a copy of her book, some pressure cooker accessories, and — wait for it — a new Instant Pot! Keep on reading for details on that fun opportunity. If you’ve loved Coco’s recipes here on Simply Recipes (like this Beef Chili and these Chipotle Chicken and Rice Bowls, then you’ll love her cookbook. It’s not quite as nice as having her on speed dial, but it’s the next best thing. The recipes in the book go WAY beyond pressure cooker staples like dried beans and chicken stock (though those are there too). She covers breakfast, dinner, side dishes, and dessert, with plenty of options for vegetarians, omnivores, and those of us following special diets. So far, I’ve made her Risotto with Lemon and Peas (a few times actually), her Cajun Chicken and Sausage Jambalaya, and the New York Cheesecake recipe I’m sharing below. Up next, I’m looking at the recipe for Korean Braised Beef Short Ribs, Carrot-Parsnip Soup with Ginger, and Sausage and Green Onion Strata. Yum! Ok, let’s talk cheesecake. From the moment Coco told me she was working on a cheesecake recipe for her book, I knew I had to try it. The idea of cooking a cheesecake in a pressure cooker just sounds so bizarre and improbable! My cheesecake emerged from the pressure cooker with zero cracks and only a few pockmarks from where water dripped back onto the surface from the lid. The water was quickly dabbed away with a paper towel, and then a thin coating of sour cream covered up the remaining blemishes. The texture was super creamy and velvety, and the the flavor had just the right balance of sweetness and tang. I loved it. My husband loved it. My neighbors loved it — especially when I sent them home with half the cake. One thing to note: This recipe makes a 7-inch cheesecake, which might be slightly smaller than some of you are used to. This because only a smallish pan will fit inside the Instant Pot bowl. This cheesecake would be just the right amount for a dinner party of six or eight people. Leftover cheesecake also keeps well for several days. Reprinted with permission from The Essential Instant Pot Cookbook by Coco Morante copyright © 2017. Published by Ten Speed Press, an imprint of Penguin Random House LLC. 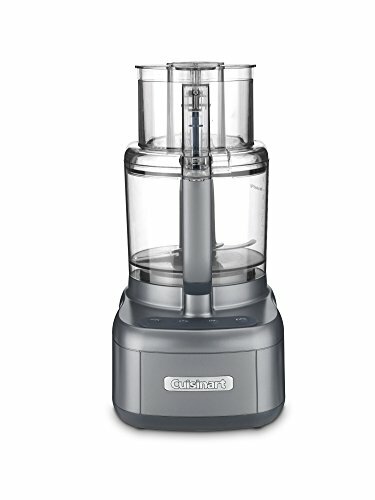 2 Make the crust: To make the crust, in a food processor, process the graham crackers into fine crumbs. You should have 3/4 cup. (I recommend measuring out the crumbs as I had slightly more than 3/4 cup. –Emma) Add the brown sugar and melted butter and, using one-second pulses, process the mixture until a uniform, sandy texture forms. Process the mixture in about 5 one-second pulses, just until it becomes a smooth filling, stopping to scrape down the sides of the bowl if necessary. Add the eggs and the egg yolk one at a time, processing for 2 one-second pulses after each addition. Do not overprocess the filling, or you will end up with an overly fluffy cheesecake. Using a spoon or a rubber spatula, gently stir in any remaining streaks of egg yolk. It is fine if a few streaks of egg yolk remain. Pour the filling into the prepared crust. Tap the pan firmly against the counter­top a few times to remove any air bubbles in the filling. 4 Make a sling for the cheesecake: Fold a 20-inch-long sheet of aluminum foil in half lengthwise twice to create a 3-inch-wide strip. Center it underneath the pan to act as a sling for lifting the pan in and out of the Instant Pot. 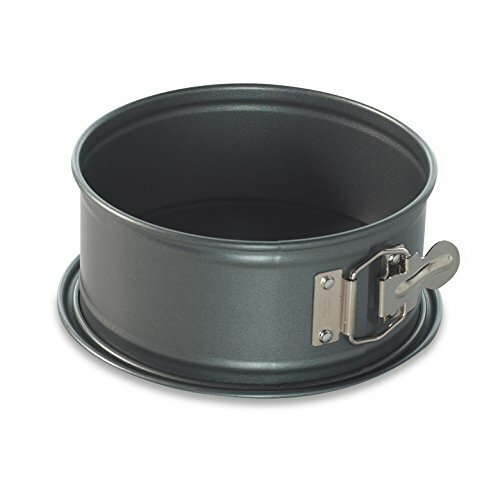 5 Assemble everything in the pressure cooker: Pour 1 1/2 cups water into the pot and place the trivet in the pot. Holding the ends of the foil sling, lift the cake pan and lower it into the pot. Fold over the ends of the sling so they fit inside the pot. 7 Make the sour cream topping: While the cheesecake is cooking, in a small bowl, whisk together the sour cream and confectioners’ sugar. 8 Release the pressure naturally and remove the cheesecake from the pot: When the timer goes off, leave the pot on its default Keep Warm setting for 20 minutes, letting the pressure release naturally. Open the pot, taking care not to drip condensation from the lid onto the cheesecake. Wearing heat-resistant mitts, grasp the ends of the foil sling, lift the springform pan out of the Instant Pot, and transfer the cheesecake to a cooling rack. Use a paper towel to dab up any moisture that may have settled on the top. (Be sure to dab up any water that pools on the sides too! – Emma) The cake will be puffed up and jiggle a bit in the center when it comes out of the pot, but it will settle and set up as it cools. 9 Add the sour cream topping: When the cheesecake has deflated about 1/2 inch, spread the sour cream mixture on top in a smooth, even layer. Let the cheesecake cool on the rack for 1 hour. 10 Cover and refrigerate for at least 12 hours or for up to 24 hours before unmolding. 11 Unmold and serve the cheesecake: To serve, unclasp the collar on the pan and lift it off, then use the parchment border to tug the cheesecake off the base of the pan onto a plate, where it can be sliced and served. Hello! All photos and content are copyright protected. Please do not use our photos without prior written permission. If you wish to republish this recipe, please rewrite the recipe in your own unique words and link back to Pressure Cooker Cheesecake + First Look at The Essential Instant Pot Cookbook on Simply Recipes. Thank you! I absolutely love all the recipes on “Simply Recipes ” everything has always turned out delicious. I want to try this pressure cooker cheese cake, I have a pressure cooker that does not have a timer or setting, just an old school pressure cooker. Can I make it in that ? Just cook it for the 32 minutes with the pressure valve just barely letting off steam? Or is it not worth trying? Thank you so much !! OMG! The New York cheese cake is amazing! I couldn’t imagine making a cheesecake in an Instant Pot until I did it. It was so easy and tasted awesome! Ok, the cheesecake recipe in an Instapot was the final straw… I’m ordered one yesterday. Thanks Emma! I can’t wait to try the cheesecake recipe. I’ve always been intimidated to make a cheesecake (because I thought it would take too long and be too fussy). This sounds super simple. I am sooo making that cheesecake!! I would make a dry bean recipe with ham hock,onion and butter (lima) beans. Wow! 578 comments! 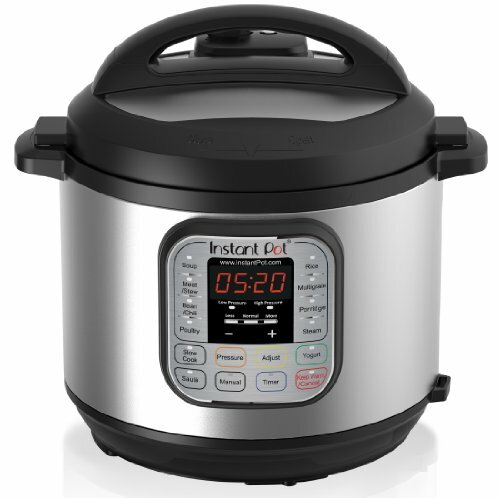 Everyone wants an Instant Pot! I actually asked for one for my 60th birthday this past October 30th and got it! Sorry about all the exclamation marks…anyway I made kahlua pork (husband’s fave) and it turned out great. Slight learning curve for me to get confident enough to use it but I DID it…YAY. The first thing I’d make in an Instant Pot is Butter Chicken. It is one of my son’s favorite dishes, and I’ve had several Instant Pot owners tell me it’s very easy to make and comes out delicious! I definitely would make a whole chicken……. I’d love to make a pot roast with all the veggies in it! YUM!!!!! I’d try the chipotle chicken rice bowls! I have to try that cheese cake…..then maybe french onion soup! Cafe Rio sweet pork would be first for me! Thank you for this opportunity! I would make a fabulous cheese cake. I think I would make chicken tikka masala.